At Diesel, Dirt & Turf we are excited to announce that Machines4u is back again in 2019 as our Gold Media Sponsor. Machines4u has been operating in the online machinery space for over 11 years, with deep connections in construction marketplace and over 380,000 visitors each month to their website. They have over 100,000 pieces of machinery listed for sale or hire at any one time across construction, farming, access, trucking, woodworking, metalworking & much more. 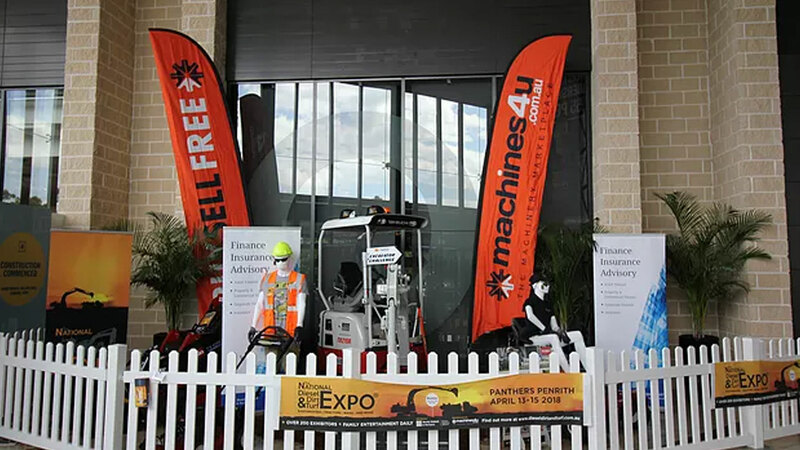 Machines4u always brings a strong team and an unmatched level of excitement & engagement with the audience attending the show. Led by Steve Krebs & Alice Schultz, they have a passion for expos and for machinery and it really shows in their ongoing commitment to the National Diesel, Dirt & Turf Expo. 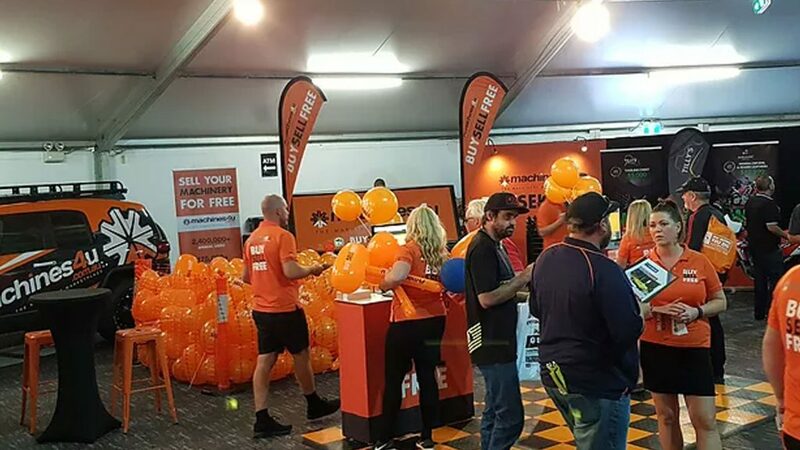 In 2017 orange balloons could be seen moving around the exhibition all day long. The team from Machines4u worked tirelessly all day long blowing up balloons to make sure no one missed out. They also gave away a Mahindra XTV on the last day of the show worth over $13,000. What an awesome prize for one lucky person! We thought that they couldn’t top it in 2018, well they did. Balloons where replaced with massive blow up hammers much to the delight of the children & to the despair of the parents who had to confiscate them from hammer fights all around the show. We love this level of engagement and excitement at the show. Not to be done with just the hammers, they also gave away three prizes with over 10,000 people entering the competition leading up to and during the show. 1. Motor bike and accessories package worth 12k thanks to 1800 finance. 2. Agrison Generator worth about 6k form the team at Agrison. 3. An ultimate tool kit from the team at Tilly’s Machinery & Parts worth nearly 5k as well. The line of people entering their competitions was massive, they had to bring a third computer out & the ipads to make sure no one missed out on their chance to win. Their team worked tirelessly to enter as many people as the could over the three days. We are stoked to have them back on board in 2019 as our Gold Media Sponsor & looking forward to see how they can top what they have brought to the show in past 2 years. 0 Comments on "Machines4u is back in 2019 as our Gold Media Sponsor"